We all know how important it is cleanse your face and neck before bedtime. Removing makeup and impurities from our crazy day time routine. One never what’s to wake up with raccoon eyes with without a good reason. Right? Which I remember would often happen in my teenage years. 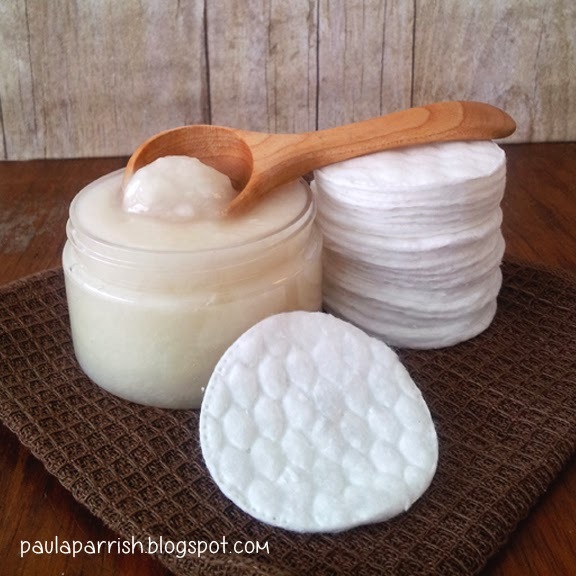 The eye makeup removers available in the stores are packed with nasty chemicals, plus they are not cheap, so I have a great DIY recipe that I’m sharing with you! The best part is that It’s inexpensive, natural and super simple. Place a small amount of coconut oil on your finger tips. Gentle rub the coconut on your eyelashes, to take off your mascara and eye shadow. Gently wipe your eyes with a damp cotton pad. Enjoy your make free moisturized eyelids and eyelashes. I hope that you have enjoyed this post and thanks for stopping by. Do you have any eco-friendly skincare tips to share? 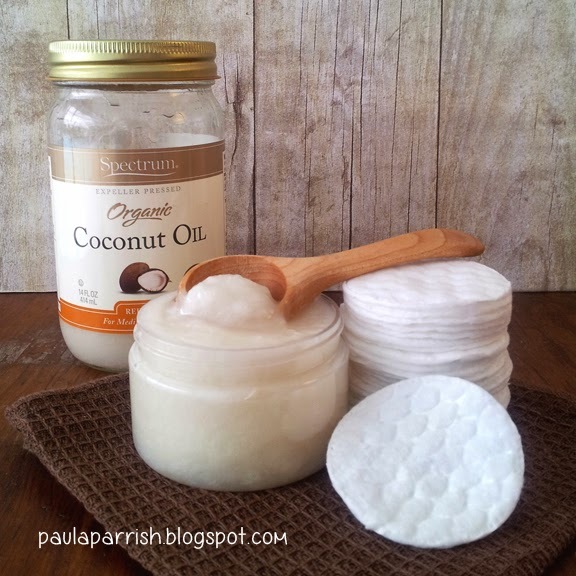 I love this idea and I have Coconut oil in the pantry. I will have to give it a try. Thank you for this great post. Great idea but even though I have the coconut oil, I don't wear eye makeup! Take out your contact lenses first! Coconut oil is fantastic, but it play havoc with my contact lenses! Sue D--even if you don't wear make up the coconut oil will strengthen your lashes. Plus it is a great moisturizer & natural sunblock. I love your blog. Someone's skin is so sensitive. Is it work on sensitive skin. I can't believe I never thought of this before! Thanks!